I’m pleased to announce my story “The Unforgiven Dead” has been accepted for inclusion in the anthology “Magic Creatures from Celtic Mists”, edited by Jeanne M. Haskin, for Artema Press. Release date is currently scheduled for April 2013. All my proceeds from this story will be donated to brain tumour research charity Taylan’s Project, so I hope the anthology does well. What magical Celtic creature or creatures feature in “The Unforgiven Dead”? 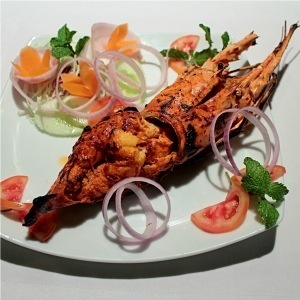 I’ll post further details a little closer to the story’s release…but I can reveal it features at least one of these little critters: a tandoori lobster. A dish I can highly recommend. 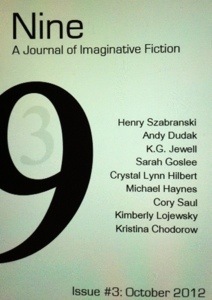 My flash story “Starfish and Apples” is now live at Nine: A Journal of Imaginative Fiction. Read more about the story here. Come away from the beach, children. Put that down, Zak. Shush, all of you, into the hut. Gather round, be quiet and listen. I have some important news. Yes, I know I don’t normally take classes, Eva. Miss Whitehead is…ill. I’m going to talk about the forest today, and how it first arrived. Listen carefully. Your lives depend on it.